The lending library is a collection of carriers that are brought to Skills Workshops and Meet Ups for community members to try on and rent. No deposit or fee is required to try on a carrier. If you would like to rent a carrier for a period of one month, you are welcome to either pay a fee of $10 per carrier or purchase a $35 membership which allows free rentals (up to two per member per month) for a year and also includes a CBW car magnet. Membership is neither required for involvement in the group nor for carrier rental; it merely provides the benefit of a price break on multiple carrier rentals and supports babywearing in Central Ohio. 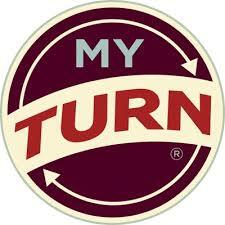 CBW is utilizing a lending library management system called MyTurn. For ease and speed of checkout, we ask that you create a CBW MyTurn account at home prior to the meeting, as well as link your credit card information if you are choosing to use one for the rental fee or deposit. To rent a carrier, you will need to either have your credit card information securely stored in your MyTurn account or write a deposit check (no counter checks, cashiers checks, or starter checks) to Columbus Babywearing. This check is NOT deposited or cashed nor is your card charged unless a carrier is not returned or is returned damaged. Upon carrier return, the check is returned to you to destroy. You will also need to furnish a state-issued photo ID, from which we will record your ID number and occasionally other information we may deem necessary. This information will be securely stored in MyTurn for future checkouts. The person whose name is on the credit card or check MUST be present in order for us to allow a carrier to be checked out. In addition to this, the name on the ID being presented must match the one on the credit card or check (this includes people who have changed their name and updated either their checks or their license but not both). While we are confident in the security of our vendors - MyTurn and Stripe.com - please bear in mind, transactions will be processed over public wifi and the choice to utilize a credit card is done at your own risk. If you choose to utilize a credit card for checkout, we will not require a deposit check as your credit card information will be securely stored by our vendor for the duration of your checkout. ​Up to two carriers and one infant insert per household may be checked out at any given time. Carriers are due back within the first 30 minutes of the next scheduled, monthly meeting at the same location from which it was rented. It is important they are returned at the start of a meeting to ensure there are enough carriers for the meeting, and for individuals to have an opportunity to try that carrier. If a carrier is returned beyond the first 30 minutes of a meeting, but before the close of the meeting, the member will be responsible for a $5.00 late fee per carrier, due at the time of return. If the late fee is not paid upon return it will be listed on your membership and future checkouts will only be available after this fee is paid. If a carrier is not returned by the end of its scheduled meeting, the individual will be responsible for a $20.00 late fee per carrier. In addition if the member does not have an active CBW membership they will need to pay the $10.00 per carrier monthly rental fee as they are keeping the carrier for a second month. The carrier will be due back at the next meeting on that day of the week, same location. CBW does allow for other community members to return carriers on your behalf, however we cannot return a deposit check to a different individual. Because all Columbus Babywearing Leaders are volunteers, carriers cannot be returned to them at alternative times or dropped off at houses. All carriers must be returned during a scheduled meeting. Repeat offenses will result in a ban from the Lending Library. Fees not paid, or carriers not returned will result in charging the $150.00 lending library deposit fee. If you are in need of financial assistance to rent a carrier, please speak to a CBW leader or email columbusbwing@gmail.com to learn more about our scholarship options. ​What carriers are available in the lending library? Columbus Babywearing offers three monthly meetings. The lending library is divided by meeting location and may be viewed here. The meeting calendar and locations may be found here. Will the lending library be at every meeting? Yes, the lending library will be at every Skills Workshop and Meet-Up. It will not be available at informal playdates, Fri-yays, office hours, or specialty workshops. Can I reserve a carrier? All carriers that are returned need to be evaluated and possibly cleaned before being loaned out again. Because of this, and because it creates a lot of extra work for our leaders (who are generously volunteering their time), carrier checkouts are on a first come, first served basis. There is no guarantee that a carrier will be able to be loaned out on the same day it is returned by the previous borrower. We also ask that our members do not repeatedly check out the same carrier in order to allow others the opportunity to borrow it. Feel free to ask any of our volunteers to help you find another suitable option to rent as we as several wonderful carriers in our lending libraries. If a carrier is checked out and your main goal is to try something specific on to see if you like the fit and function, consider posting to the group's page in order to ask if there's another member out there who happens to own the same carrier. They may be willing to meet up with you so you can try theirs on. Each carrier checked out requires a $150 deposit payable through securely storing your credit card information in your MyTurn account or by check. Infant insert deposits are $30. What does the checkout form and waiver consist of? We require a checkout form and waiver to be filled out when you borrow carriers from our lending library. A leader will provide this at the time of the checkout. You can view an example of this waiver here. How can I donate to Columbus Babywearing? Do you love the group and want a way to help further babywearing in Central Ohio? We welcome cash and carrier donations! If you would like to donate online, our email address for Paypal is columbusbwing@gmail.com (not case sensitive). If you would like to donate a carrier, please email us. Every donation, even just a few dollars, adds up and makes a big difference! If you donate a carrier with a market value of at least $35 that fits our collection development goals, you are entitled to a free membership. Please email us to inquire about whether the carrier you wish to donate meets these requirements. Each eligible carrier donation is worth one membership regardless of the value of the carrier. Our collection development goals can be found here. How else can I support our Lending Library?